Whether you are a marketer, a blogger or merely someone in the search of a new career path, there are plenty of examples for inspiration in the world of search engine optimization. As the internet continues to increasingly become the gateway through which we purchase products, find information and assess the way in which we view the world, more and more jobs in the field of SEO become necessary. While some may think of SEO as merely a uniform concept, there are many different types of SEO-related careers. Below, we’ll discuss the different types of positions one can find in the ever-growing field of SEO. Internal SEO – sometimes also referred to as in-house SEO – is the act of providing services to a brand or business in an exclusive fashion. Almost always, this will be for a larger business that can afford to hire someone on a full-time basis. Internal SEO careers will focus on pinging links to content in search and social media, building backlinks and optimizing content for keywords and quality. Practically all of the strategy and implementation of SEO-related concepts will be handled by the individual in question; it is rare to see even large companies have multiple SEO hires. Some people prefer this type of hire because it is a singular SEO focus and one that does not also require having to simultaneously focus on the management of an online company in every other facet. 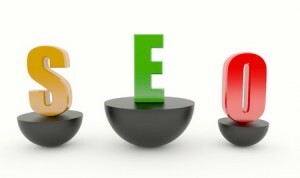 Another type of SEO career revolves around employment via an agency or firm. This type of SEO career makes it possible for those involved with the art to enjoy gainful employment, but is perfect for those who like to have a change of scenery often. Not being tied to any one project for incredible amounts of time, it is likely that you’ll experience several different clients on a weekly basis. Unfortunately, agency SEO employment differs from internal SEO careers in that employees are required to perform various tasks on-budget and on-time. Rather than being given the ability and time to accomplish various projects, agency SEO employment often requires providing a set service for a pre-determined cost and within a certain time-frame. If you prefer to go it alone but do not want to face the arduous task of managing a full SEO business, then SEO consultant work may be the best choice. In this line of work, you’ll be your own boss and will work as a freelancer or independent contractor. Comparable to a job in an SEO agency, SEO consultants will have the flexibility to work with a variety of different employers and on many different projects. Where the benefits are better, however, is in the flexibility of the consultant to select which specific projects he or she wishes to work on. Because there is very little overhead in terms of managing an extensive SEO agency, the ability to profit from work is much larger.